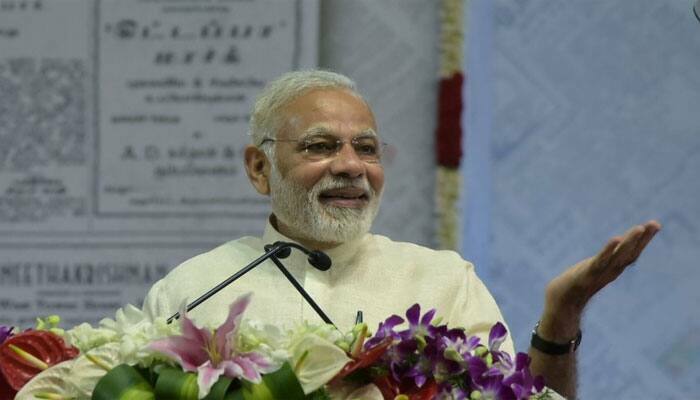 Prayagraj: With the Lok Sabha election 2019 just a few months away, Prime Minister Narendra Modi will possibly come to Prayagraj on February 19 and take part in ongoing Kumbh Mela on the occasion of Poornima for ‘Sangam Snan’, said reports on Thursday. News agency ANI quoted Uttar Pradesh Deputy Chief Minister Keshav Prasad Maurya as saying that ”the programme (PM’s visit) is almost finalised”. This would be the PM’s seventh visit to Uttar Pradesh in February in the run-up to the Lok Sabha elections as he may also visit Rahul Gandhi’s constituency of Amethi. “Prime Minister may visit Kumbh on February 19 on Poornima for Sangam Snan, it’s almost finalised,” news agency ANI quoted Maurya as saying. On the same day, on the occasion of Guru Ravidas Jayanti, the Prime Minister is scheduled to visit his constituency of Varanasi as well. While Chief Minister Yogi Adityanath hasn’t confirmed the same, he thanked PM Modi for giving ‘international recognition’ to Kumbh Mela. “Every devotee of this country expresses his gratitude to the Prime Minister because of whose guidance Kumbh could receive international recognition. He was the one who started Kumbh with ‘Ganga pooja’ of ‘akhadas’ and maybe he can have another programme here,” the UP CM name told ANI. The 2019 Kumbh Mela began on January 15 and would conclude on March 4 and has seen significant political presence this year. BJP chief Amit Shah visited the Kumbh Mela on Wednesday. Earlier, the Uttar Pradesh Cabinet held its meeting at the mela. Cabinet Ministers also took a dip at the Sangam and visited the Akshaya vat. SP leader and former UP CM Akhilesh Yadav too paid a visit to the holy gathering last month. Meanwhile, apart from February 19 visit to Kumbh and Varanasi, the PM will be Gorakhpur on February 24 to launch the PM Kisan Nidhi scheme. On February 27, he would be Kanpur for the 2nd UP Investors Summit. On February 15, he will be Jhansi where he will lay the foundation stone of the ambitious Defence Corridor project. Some reports suggest that the PM would visit Amethi on February 28.